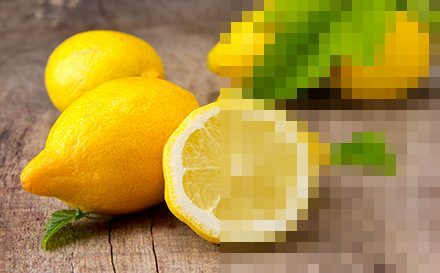 Here is a guide to Image Resolution from Lemon Press. One of the most common issues with printing is image resolution, if too low it can make the image look blurry or pixelated and can make your printed marketing materials look low quality. When it comes to image resolution there are two main factors to understand, DPI (dots per inch) and PPI (pixels per inch). Once you understand DPI and PPI it will help you ensure that your printed marketing materials have a high quality finish, and are not let know by image resolution. If you have ever found yourself saying “it looked fine on my screen, why has it printed blurry?” This is because screens view documents at 72dpi and commercial printers print at 300dpi. Images that are made up of dots are called raster images, another common file format is vector files. Vector files are made up from equations which means they can be resized without losing quality or sharpness. They will never distort regardless of how large you make the vector file. The best way to avoid low image resolution is to ensure that you always use images at 300dpi when designing for print. The table below is based on printing a portrait document at 300dpi which will give a high quality result. When measuring a digital image there is no defined size in cm or inches, this is determined by the dpi. If you notice that your images or artwork are low resolution, then the best thing to do is replace them. This is so they do not affect the overall quality of your printed materials. When you replace them make sure that you replace them with files with a higher resolution or with vector files. If you are purchasing images from sites such as Shutterstock, always ensure that you purchase images in the largest possible resolution as they can always be made smaller, but a smaller file cannot be made bigger – unless it is a vector file. This is always an option if the component in question is a vector file. If not a vector file you may be able to reduce pixilation by reducing the size of the image, but this may affect the design of your printed materials and it is probably best to replace the image with one that is the right resolution. You may be tempted to just go with it and think a pixelated image will not be noticeable once printed. We strongly advise against this. We always recommend that you fix any low resolution issues prior to going to print. In fact, our pre-press software flags up any low resolution images.